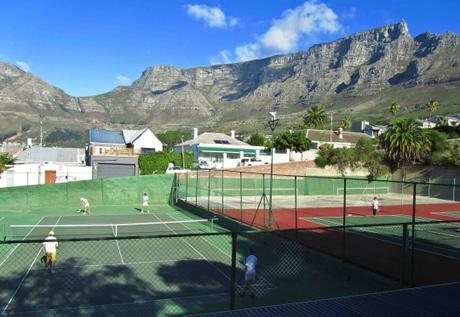 A social afternoon of tennis usually followed by a braai and a few drinks - everyone is welcome. Currently the club does not engage in league tennis. Members, who are interested in competitive tennis, have the opportunity to participate in an informal internal club ladder which runs for 3 months 3 times a year. Specific events such as tournaments, specific social days and get-togethers will be posted here and on our Facebook page once we have confirmed them. The EXCO will also send out occasional emails informing you of events taking place at the club. We also have a WhatsApp Group that our members use to arrange games or practice sessions with each other. We also use this group to update members on the weekly socials that happen on Tuesdays and Saturdays. Members and visitors are all welcome to join the various playing days that are organised by the club, as well as play any time during the week and weekend. Please note that currently Court 2 will be occupied by the DSK on Mondays, Tuesdays and Thursdays from 14:30-15:45 and Fridays from 13:20-14:40. Visitors who would like to play on a non-organised day need to come with a member and pay the very reasonable R30.00 visitors fee into the payment box. 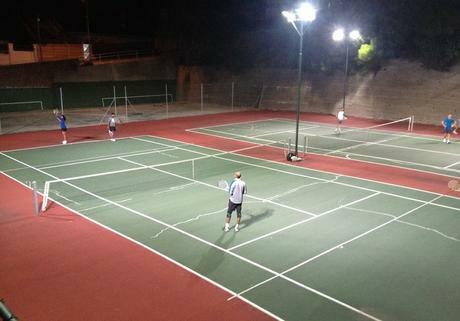 We have two floodlit courts. Our fees for the floodlights are R40.00 per hour – this is activated by a token system (R10.00 per 15-minute token). Tokens are available to all members and their visitors.